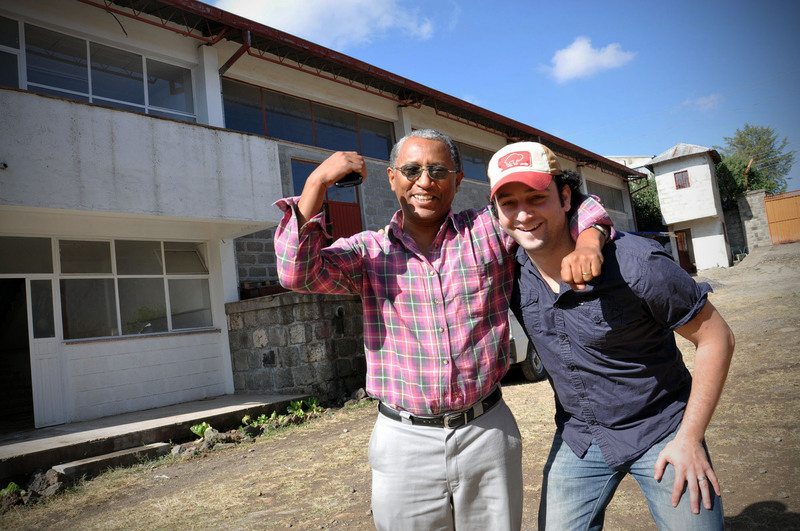 Ethiopian General Manager Feraw and founder Tal outside of the Oliberté factory in December 2012. All photos by Ethiopian photographer Kinfe Sahlu Gulte, owner of Kinfe Film Production. 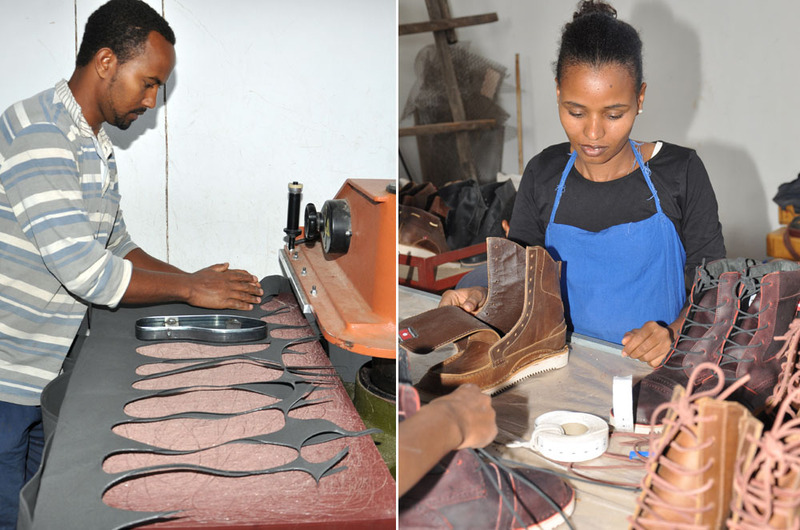 February 1, 2013 – Since April 2012, our Ethiopian team has been working to get our own factory up and running, a dream we have all had from the get-go. 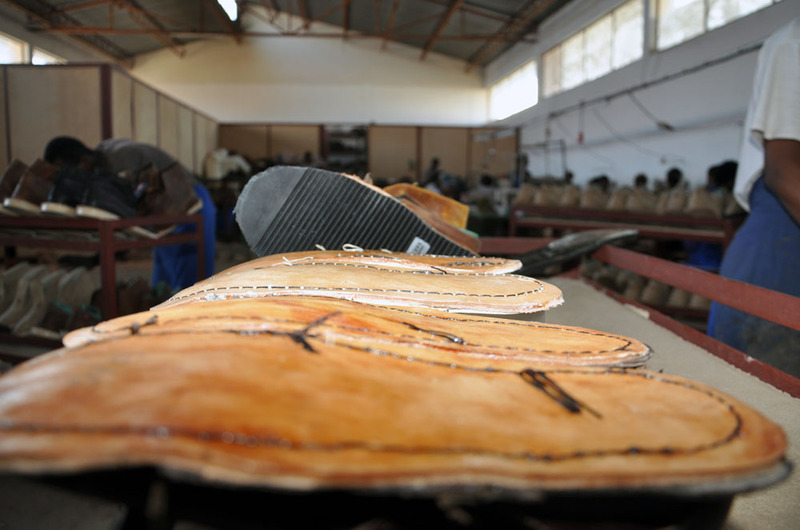 In August 2012, we officially began manufacturing our own shoes there, including our Fall/Winter 2012 stock. If you snagged a pair, you snagged an original. But big steps like this don’t come without hiccups and developments. We want to keep everyone apprised of our work, show you the action, and share what setting up your own factory (in our case, literally pulling yourself up by the bootstraps, with limited outside funding) is like. 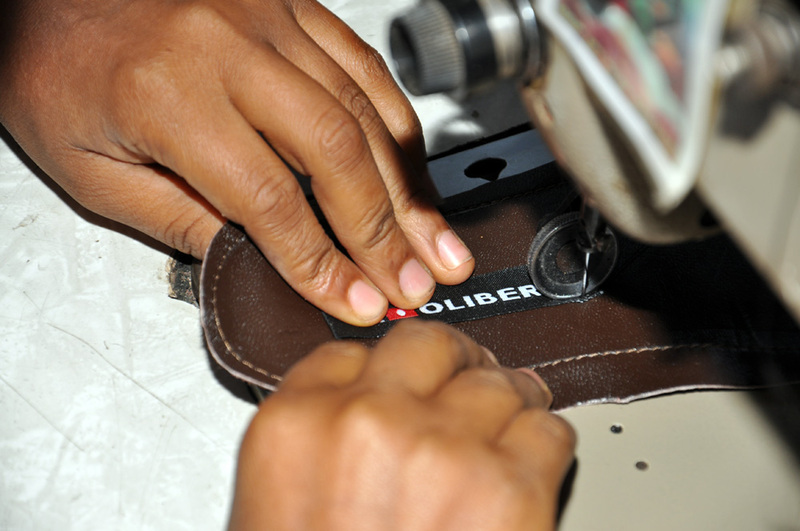 PRODUCTION: We have made and shipped over 7,000 pairs of shoes for retail and online store orders, oliberte.com, and for collaborations with companies such as Invisible Children and IPATH. 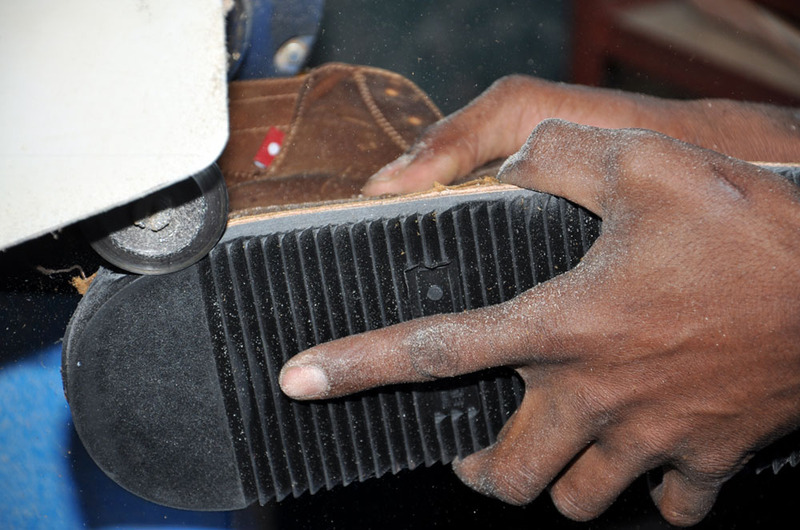 This involves cutting, stitching, shaping the shoes, making rubber, and pressing soles, topped of with lacing and boxing the shoes. It’s a delicate balance of sourcing materials, budgeting, and hard work with great attention to detail. MACHINES: Our factory has its own rubber-making machine, stitching machines, cutting machines, and a sole press machine. We unfortunately had a very important one fail us in the midst of manufacturing F/W 12 stock, and Feraw, our manager, had to go shopping for some key spare parts from Italy (during Christmas). Not an easy task, by far, and we’re very proud of how this was handled by our team. There are just some things you can’t predict! Over the last 8 months, we have also added two new stitching machines (one from Italy, one belonging to Feraw) and a new, locally made sole-press machine for larger sizes EU 45 and EU 46. We’re stoked to have been able to source this one in our main country, Ethiopia. And the fact that Feraw was willing to lend us his personal equipment shows just how committed he is to Oliberté, and how much he believes in our goals. It’s beyond humbling. EMPLOYEES: We have stayed steady at 51 employees at our factory. 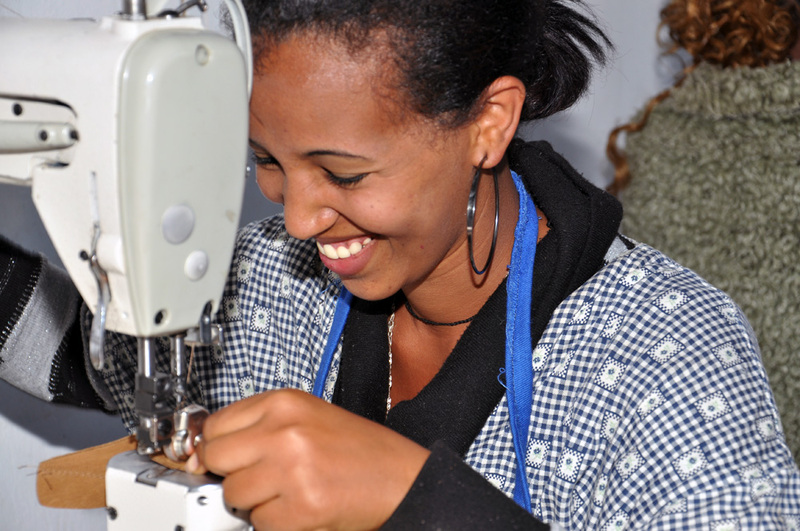 Sixty percent are women, and jobs include patternmaking, management, manufacturing, and administrative roles roles. SPRING/SUMMER 2013: Manufacturing has begun, and our factory has truly found its footing. Cutting and stitching is well on its way for upcoming orders, including styles for our online store. COMING UP: We needed more space! So we’re expanding to make use of the warehouse that is sitting empty across the grass driveway and center area of our compound. There, we will have a canteen where employees can eat, as well as house our development team, which is in charge or patternmaking and prototypes. Have anything you’re curious about? Email us at info@oliberte.com and we’ll take it into consideration for our next factory update.